The answer is usually no. Most IRS agents, and IRS Revenue Officers are actually happy when a tax lawyer gets involved. That’s because the agent doesn’t have to spend a lot of time explaining the basics to a tax lawyer, because we have been through it all before. In cases that involve significant dollars amounts, or complicated questions of tax law IRS agents are used to having tax lawyers on the other side of the table. Occasionally we have heard of IRS agents saying to clients “Oh you don’t need a tax attorney.” Or even “If you hire a tax attorney I am going to make things more difficult for you.” If that happens you need a tax attorney more than ever. 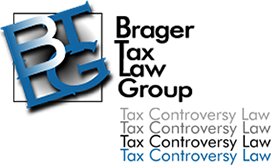 The tax law provides in Internal Revenue Code Section 7421(b)(2) that the IRS must stop an interview if a taxpayer states he would like to consult with a tax attorney, or CPA, or enrolled agent. So an IRS agent who tries to talk you out of engaging a tax attorney may be violating the law.